*Exclusive new filmed interviews with some of the Rockets favourites, including Dingle Brown, Graeme Smith, Terry Stone, Laurie Etheridge, Alan Jackson, Dave 'Tiger' Beech, Pete Wigley, plus manager Peter Thorogood. *Previously unseen full colour amateur cine footage of racing at The Weir and the Rockets racing away that has never been seen before. *Many previously unpublished still images of the riders as you've never seen them before. 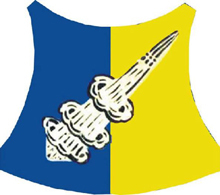 *Feast of Rayleigh memorabilia, including badges, newspaper cuttings, etc. Re-live the days of Geoff Maloney, Allan Emmett, Hughie Saunders, Bob Young, Peter Moore and cult favourites like Les ‘Red' Ott. 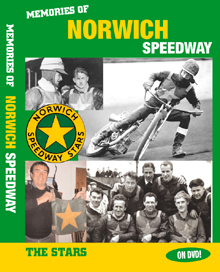 If you were a fan of Rayleigh Rockets or a regular visitor to the sadly defunct Essex track, this DVD will evoke many fond memories to treasure forever more. A golden era of two-valve Jawas, monkey masks, open-face helmets, Cortinas and Zephyrs, and those Magnificent Men In Their Flying Machines! 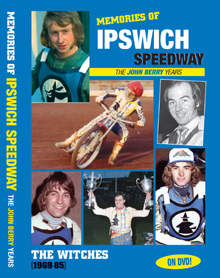 Rayleigh supporter David Jones bought this DVD from us and says: "I have viewed the Rayleigh Rockets DVD and thought it was absolutely brilliant. From the cover to the content, I found it just breathtaking. Best money I've ever spent, I loved every minute of it." 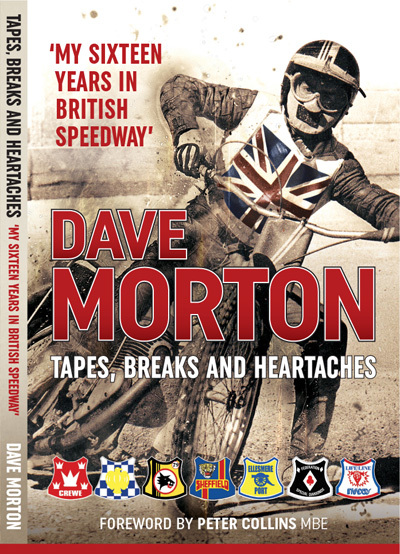 You can order this DVD direct from Retro Speedway for £16 (post-free in the UK). Phone our Credit/Debit Card Hotline on 01708 734 502. 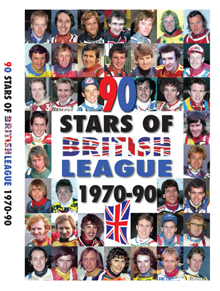 Retro Speedway (Rayleigh DVD), 103 Douglas Road, Hornchurch, RM11 1AW.